Holiday gift giving is a must-do for marketing savvy law firms. Gifts are one way your firm’s lawyers should show their appreciation to friends of the firm every year. Holiday gifts are a great way to honor the professional relationships that support your business. These gifts keep you top-of-mind in your network and help keep referrals to your firm coming. Accompanied by a handwritten card, a holiday gift is a classy token of appreciation. To determine who should receive a gift from your firm, search your database to find the top 10-20 people that have retained or referred your legal services to others in the past year. Those that have added to your business’ bottom line throughout the year can include clients, consultants, and referral sources. Be sure to consider those who are the “gatekeepers” or members of your client’s administrative staff. If they make your life easier, perhaps they should be on your list to receive a small holiday gift. Other professionals such as lawyers, CPAs, and bankers that share their clients with you should also be included on your holiday gift list. Fellow board members or media contacts that frequently turn to you for comment could be considered for your list to receive a thoughtful gift this year. Here is a quick gift giving guide for law firms to use to inspire their client and staff gift giving. Email me if you need more ideas or would like some help with handling your firm’s corporate gift giving this year. Live wreaths are fun to give and to receive. Hand-tied wreaths stand out from other holiday gifts. They are a beautiful addition to office or home seasonal décor. Gift baskets don’t have to be generic or boring. They can be easily customized with locally sourced items and include branded items such as a personalized notecard from your firm. Give the gift of relaxation and stress reduction. Consider an outside-the-box option for holiday gift giving by prepaying for a professional massage therapist to perform onsite chair massages in your client’s office. This is also a thoughtful way to recognize the contributions and hard work of your staff. Everyone loves looking great. As people prepare for holiday parties and other end of the year gatherings, salon and spa gift cards are always appreciated. Gift certificates for blow dry services, massages, or manicures are a great idea for anyone you want to pamper. Sometimes functional gifts are truly appreciated in the office setting. Go beyond pens with your firm’s logo and provide a high-end coffee thermos that is well insulated and leak-proof. Be sure to beautifully wrap this gift with paper that matches your logo colors and include a handwritten note for the recipient. This type of useful gift will be appreciated long after the holidays are over. Charitable contributions can take the hassle out of holiday gift giving. If your client is a member of a nonprofit or openly supports a cause, consider making a donation in their name. 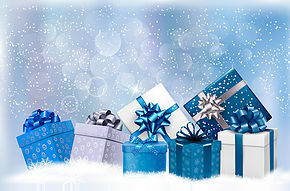 Many firms donate yearly to non-profits that they have chosen to support rather than providing individual holiday gifts. Another great idea is to find a newer non-profit in our community, such as the Levitt Pavilion Denver, and use your firm’s network to spread the word of its positive mission through a corporate donation. This post first appeared on Denver Legal Marketing. Meranda Vieyra is an award winning legal professional and one of the most visible marketing administrators in the Denver legal field. Contact her at Meranda@DenverLegalMarketing.com. Next post: What Does It Mean to Be a Competent Lawyer?